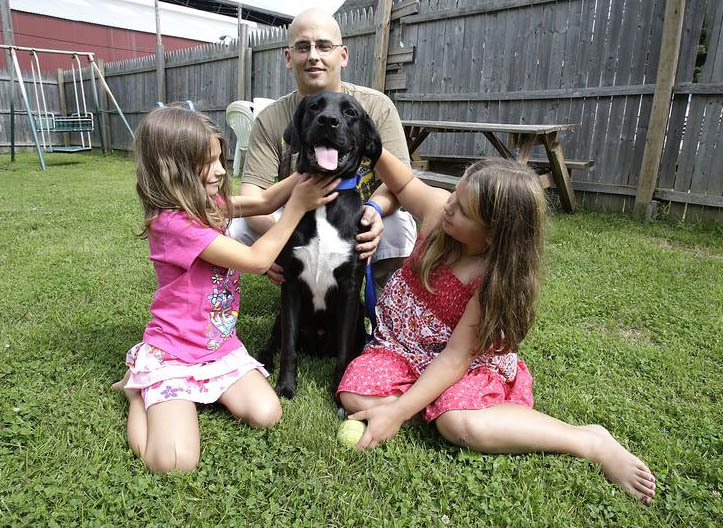 ELLENVILLE, NY -- Officials in an upstate New York village are looking for ways to curb aggressive behavior by dogs after several attacks by pit bulls against pets and people. Over the past two months in the Ulster County village of Ellenville, officials say pit bulls bit an 11-year-old boy in the groin and killed a family's cat and bit the owner in separate attacks. Last month, a 25-year-old man was charged with fatally stabbing a pit bull he said had attacked his dog, also a pit bull. Mayor Jeff Kaplan tells the Times Herald-Record of Middletown that he's a dog lover but not a fan of aggressive-breed dogs. Village trustees are considering ways to curb aggressive behavior, including a ban on dogs in the business district and mandatory muzzles. Officials say state law prohibits municipalities from having breed-specific rules. 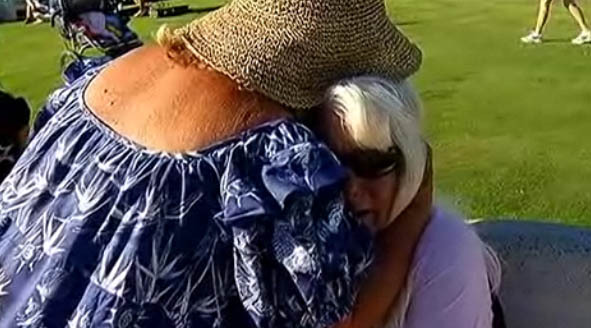 PALM SPRINGS, CA -- A Palm Springs woman was bit and her small dog was viciously killed by a large golden retriever mix Wednesday afternoon on a Carlsbad boardwalk, the victim's husband said. The dog's handler, believed to be in his early 20s, idly watched the leashed dog bite Rene Hillman, 55, above the right wrist and kill her dog before outrunning witnesses from a park north of Carlsbad Village Drive after 12:30 p.m., Bill Hillman said. Hillman says he saw the attack while walking to purchase food. 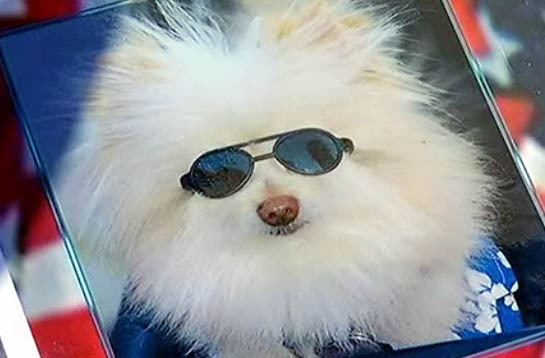 He ran to assist his wife and their white, six-pound Pomeranian, kicking the attacking dog twice in the head before it finally released, he said. "It took it, shook it, tore it open and ripped it apart," Bill Hillman said. 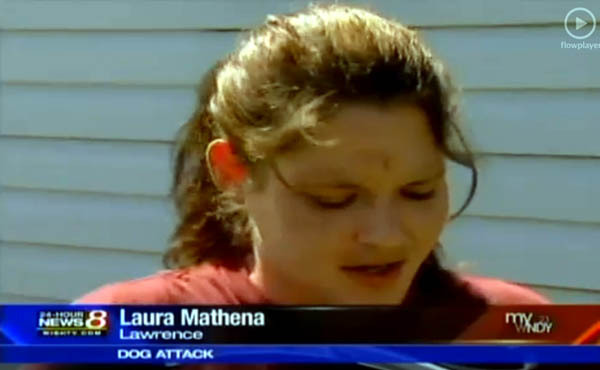 "The owner did nothing but hold his skateboard as his dog mauled my dog after mauling my wife. Then he ran away, and that's what made me the most upset ... It's just really sad. I can't believe a human being would do that. It's just very, very sad." Hillman believes the dog weighed 110 to 120 pounds and was a golden retriever-Labrador mix. Witnesses told him the dog's barefooted owner was a local, he said. 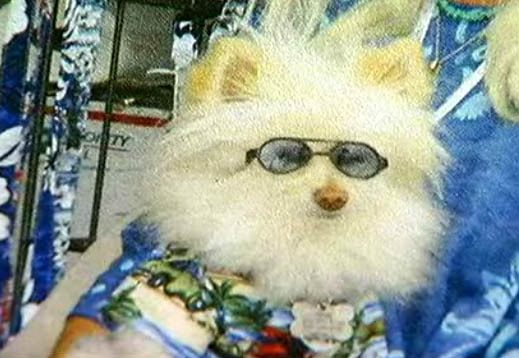 The Hillman family lives in Palm Springs where they run Cool Dawg Store, a dog apparel company. Their dog, named Ewok, appears on the cover of the couple's company website. 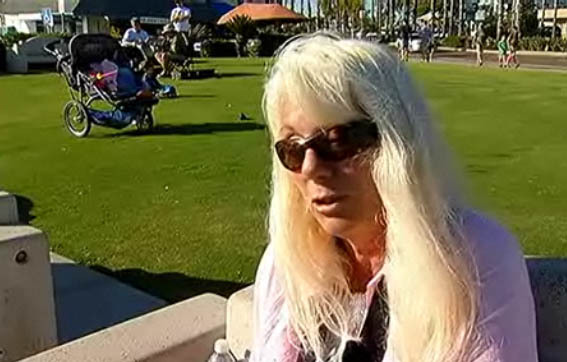 Hillman said they were in town delivering merchandise to a San Diego County Fair vendor and stopped in Carlsbad to have a picnic with fish and chips. Bill Hillman said Rene didn't see the dog charging until it was too late, but the couple's Pomeranian hid behind her legs in the final moments before the attack. Rene Hillman may need rabies vaccinations if the man and dog are not located, he said, adding she sustained six puncture wounds and was knocked down during the attack. Bill Hillman said he hopes the man and dog are found. "I don't want my wife to go through rabies shots or for this to happen to another person or another dog," he said. Wednesday's attack was the latest in a series of incidents around the county. 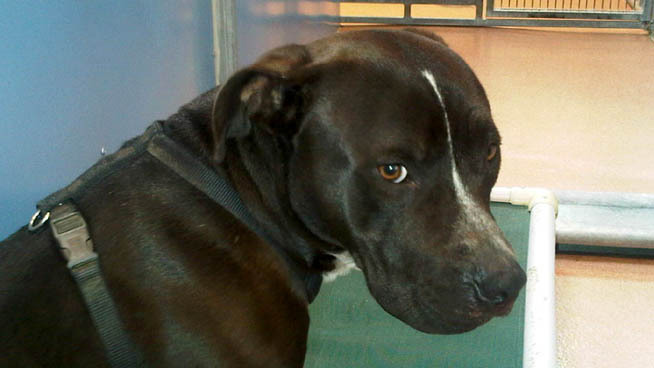 On Tuesday, a 1 1/2-year-old pit bull bit his owner's 40-year-old friend in Mountain View. The victim's father said his son was scheduled to have surgery Tuesday night after the dog bit "chunks" from his right arm. 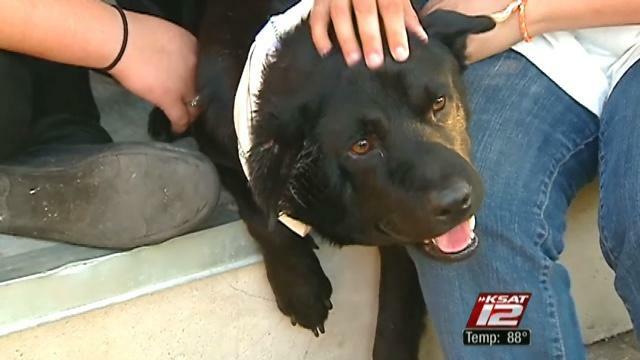 On Friday, a dog attacked a 1-year-old in Chula Vista. The baby was taken to the hospital and animal services euthanized the dog, which a family member said was a pit bull. The pit bull was one of five dogs that lived in the house with the baby. A family member said the dog was “stupid and aggressive." Earlier that day, a woman walking her dog in Grant Hill was attacked by a pit bull and a boxer. The woman’s dog was injured in the attack, and the boxer and pit bull were impounded by animal services and placed into quarantine. A much more serious incident occurred on June 18, when Emako Mendoza was attacked at her home in the 5800 block of Alleghany in Paradise Hills around 6:30 a.m. when she went outside to get a newspaper. Mendoza's husband said the 75-year-old woman lost a leg and was in danger of losing an arm as a result of the attack by two pit bulls in her backyard. BUFFALO, NY -- Dog Attacks are becoming a growing problem for mail carriers in Western New York. According to the United States Postal Service, dog attacks happen to letter carriers 1 to 2 times a week on average. Three years ago, North Tonawanda City Letter Carrier Emily Skuce was viciously attacked by a pit bull mix while delivering mail. Her injuries required 90 stitches and 3 months off from work. "I was blocking my face but (the dog) eventually latched onto my head and shook me back and forth until I lost consciousness," said Skuce. The US Postal Service is now sending out an important message to dog owners and is urging them to take extra precautions with their pets. 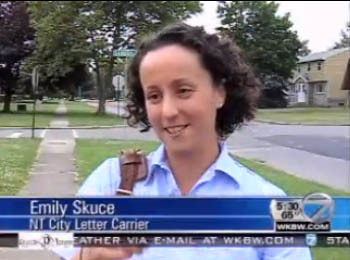 "Make sure you close doors and gates," said US Postal Service WNY Communications Coordinator Karen Mazurkiewicz. 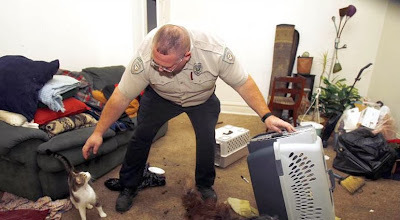 "Also make sure the dog is contained inside the home when the carrier comes to deliver. Quick things could mean the difference between the trauma Emily Skuce experienced as well as the liabilities for the dog owner." UNITED KINGDOM -- A Penryn man is calling for a crackdown on dangerous and illegal dogs after his family pet was mauled and killed by a pit bull two weeks ago. John McKechnie, of Brook Place, was walking his dog through College Woods with his 11 year-old children, Ross and Katie, on the morning of Friday, June 17. The dog, Blake, a five year old greyhound they had owned for three months, was only just getting settled in the family home, John said. “As we got to the end of the walk, by the bridge, we noticed a young lad trying to haul a dog out of the bushes,” he said. “Ross was holding Blake and asked me to take him. The other dog growled at Blake quite aggressively and he took a step back. “We asked the lad to go on ahead and he turned to go but the next thing we knew his dog had our dog by the throat. Blake was left gravely injured following the attack and despite a £1000 emergency operation, he succumbed to his injuries in the early hours of the morning on June 19. The police are now investigating the incident and have seized the pit bull. Rat Terrier Killed by Pit Bull, Newspaper calls it a "dog fight"
MASSACHUSETTS --- The following is an excerpt from the Salem Police Department's Tuesday and Wednesday logs. A dog [attack] was reported at 4:41 p.m. Tuesday on Gables Circle, police said. The caller said one of the neighbor's pit bulls jumped the fence and attacked a 6-year-old rat terrier. The rat terrier "was bit[ten] in the left flank and carried around in the pit bull's mouth. The pit bull then released the terrier and jumped back into its own yard," the caller told police. 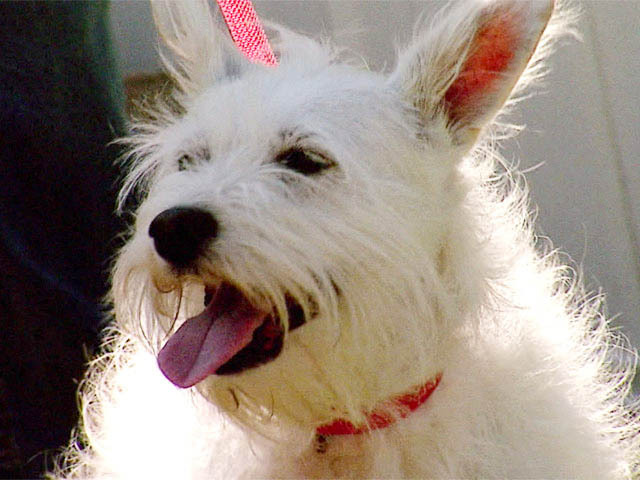 Police said the terrier was brought to the vet and died from its injuries. LAWRENCE, IN -- A Lawrence dog is recovering after a vicious attack. The dog's owner is nursing her dog back to health after it was caught in the jaws of a pit bull. 24-Hour News 8 investigated similar attacks across Marion County. Just this month, Marion County Animal Care and Control has received more than 2,000 dog complaints; 53 of those calls were dog attacks. Reporter Daniel Miller talked to a dog owner who's now one of the victims. Nearly two weeks ago, 7-year-old Rosie, a schnauzer-terrier mix, got mixed up with a pit bull. Rosie nearly lost her life. "It just came through the screen door and latched on to her neck, would not let go and would not let go," said Laura Mathena, Rosie's owner, "She was wiggling and trying to get loose; it was very scary." Rosie has 12 staples in her neck and face to treat the wounds. "She had a hole in her neck about the size of a nickel," Methena said, recalling that she felt helpless, unable to help her own dog. "Two grown men couldn't get it off,” she said. “They had to run inside and get a screwdriver and pry the dog's mouth open." The pit bull's owner told police the dog isn't vicious, but officers said it showed signs of being a fighting dog. Fighter or not, though, Mathena said she's done with walks in her neighborhood, at least for a while. She said her priority is making sure Rosie recovers. "She's good now. She's taking it really well," Mathena said. The pit bull's owner is paying Rosie's vet bills. If you have a complaint about a dog call Animal Care and Control at 317-327-1397. VENTNOR – The generosity and outpouring of support from the community has Lauree Fogelman feeling better these days. She and her dog, Izze, are still recovering from a pit bull attack June 2 that left her with a fractured hand, tendon damage and puncture wounds. Izzie is still being treated for an open wound to the chest left by the pit bull’s relentless attack. 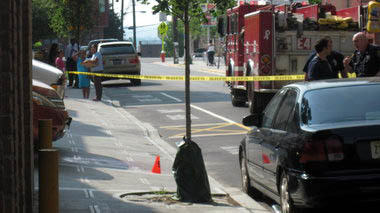 Fogelman was walking Izze in her North Newark Avenue neighborhood the afternoon of Thursday, June 2 when a pit bull came barreling down the sidewalk at them. When she picked up Izze to protect him, the pit bull jumped and pulled her dog out of her hands, Fogelman said Monday, June 27. Fogelman grabbed the pit bull by the head and tried to pull its jaws open while a neighbor came to the rescue before police arrived on the scene. According to a police report, it took six police officers striking the dog numerous times with their batons before it released its grip and ran home to its owner, Omar Paz Juraez of North Newark Avenue. She said five minutes yelling for help felt like five hours as she tried to wrestle the pit bull away from Izze, a cockapoo, which is cross between a cocker spaniel and poodle. “They called me afterwards to see if I was OK and they called Dr. Grant to check on Izze. They were very, very compassionate and very kind,” Fogelman said. And that was just the beginning of the support she has gotten from the community. On Sunday, Aug. 14, from 4 to 7 p.m. there will be a fundraiser at the Log Cabin in Margate to help pay for Izze’s veterinary bills with hopes to continue a fund to help rescue dogs and other victims of dog attacks. Tickets for the event are $20 and can be bought by calling (609) 442-0072. A social worker who works with hospice care, Fogelman said the attack has left her out of work through July due to hand surgery that was done June 7. She hopes to receive an update on her progress on Thursday. “I understand needing help and the difficulties in asking for it,” she said. She said she also knows that people can endure with the strength of themselves, their faith, the community, friends, and her case, a fiancée who is extremely loving and supportive. “It makes you look to those things to see how lucky you are and fortunate you are,” Fogelman said. She said donations have already started coming in for the Aug. 14 event in the way of donated gift baskets, gift certificates and other items that will be raffled off. She also said she hopes to find to way to prevent dog attacks from happening in the future. “Have awareness to be careful when walking dogs because you never know,” she said. “Your life could change in a matter of 10 minutes. Knowing things like this can happen, something could be done and put in place to at least make owners more liable and responsible to protect people. I would never want this to happen to anyone again,” said Fogelman. The fine that could be imposed on Paz, the dog owner, is capped at $1,000 according to police. Fogelman said she is awaiting a summons to appear in court. SAN ANTONIO, TX -- A west side family called their family pet a hero after he came their rescue when a stray pit-bull went on the attack. Their dog 'Bliss' saved them late Tuesday night. Rita Rodriguez said she was in her yard with her daughters and grand daughter when the pit bull came up behind them. Rodriguez said they tried to get the pit bull to leave, but it wouldn't. The next thing they saw was Bliss spring into action and keep the pit bull occupied until the family could chain it to a fence and call police. "If is weren't for Bliss protecting my family, we would have been injured ourselves," Rodriguez said. Bliss suffered injuries to his ear and neck, but should be OK.
CEDAR RAPIDS, IA – A ten year-old boy is still in the hospital after a dog attacked him and a man Tuesday night in a Cedar Rapids neighborhood. It happened at 1415 15th Street Southeast just before 9PM. Police say 10 year old Marquise Hubbard was inside the fenced-in yard with another boy who lived at the home while playing with a female American Pit Bull Terrier when the attack started. Police say Hubbard ran out of the yard, left the gate open, and the dog followed him outside the fence. this residence, 1415 Fifth Ave. SE. Hubbard’s father says his son suffered severe injuries to his chest, hands and legs. Despite the severity of the boy’s injuries, one neighbor says he’s not surprised by Tuesday night’s incident. “I heard this scream, “Get it off me, get it off me!,“ said neighbor who witnessed the mauling Donald Brown. Donald Brown says he saw the pit bull mauling 10 year old Marquise Hubbard Tuesday night. “He had lacerations to the leg and you could actually see bone, from the kneecap down, his bone was hanging out of the skin. It was not a pretty sight,” said Brown. Another man ran to the boy’s rescue. “He ended up having to hit it with a brick just to get it to let go of its grip,” said Brown. Both victims were taken to the hospital. 18 year old Eddie Frye was taken to Saint Luke’s Hospital, but was later released. The dog will now be quarantined at Cedar Rapids Animal Control a ten day time span. “When the bite was severe as it is and because it did bite two people the dog is current on its rabies vaccination but we’re holding it here pending the police investigation,” said Cedar Rapids Animal Control Program Manager Diane Webber. Program Manager Diane Webber says part of that investigation will determine if the dog was provoked. “It may come down to a court hearing to make that determination, maybe not. It’s an open police investigation right now,” said Webber. Brown says he’s seen people teasing the four pit bulls that live behind the six foot fence surrounding the house. He says the kids use sticks to tease and entice the dogs. “I see constantly children teasing them; adults teasing them. When you do that so often to a dog, eventually they’re going to attack,” said Brown. But Brown says ultimately, the dog is not to blame. “I think it’s the responsibility of the owner,” said Brown. If the dog was provoked, it could be allowed to return home. If not, the dog could be considered vicious and could not live in city limits. What happens to the dog after that point would be determined in a court hearing. 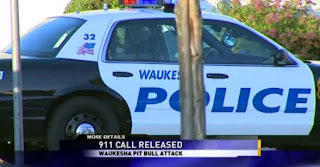 CEDAR RAPIDS, IA -- A 10-year-old boy and another man were taken to local hospitals Tuesday evening after the same pit bull bit both of them, police said. The boy was already in the ambulance when officers arrived just before 9 p.m. to 1415 Fifth Ave. SE. Sgt. Brian Been said two boys were apparently at the house when the incident occurred. The boy’s father, who did not want to be identified, told SourceMedia Group his son was taken to Mercy Medical Center, where he underwent surgery for his injuries. He said the most severe injuries were to the boy’s legs. Marquise Hubbard, 10, was still hospitalized Wednesday morning, his father said. Police said Eddie Frye, 18, told officers he was sitting on his porch when he saw the boy attacked. The dog bit him, too, when he tried to come to the boy’s aid. He had multiple bite marks to his right forearm and scratches on his chest, police said. “He took off running to help the boy and got bit,” Sgt. Brian Been said. Frye was taken to St. Luke’s Hospital for his injuries. His injuries were not believed to be as severe, police said. Animal Control officers took custody of the female dog and have placed it in quarantine, according to manager Diane Webber. “The dog was apparently in its own fenced backyard when the initial attack began, but then got out when the initial victim ran and left the gate open,” Webber said in an e-mail. Police said the dog’s owner, Sherron Smith, confirmed that the dog got out of the six-foot tall chain link fence around the house. No charges have been filed, but police are still investigating the incident. LOUISIANA -- A Shreveport man was reportedly hit by a car late Wednesday night while he was reportedly running from a dog. The accident happened around 11:00 p.m. off Randolph St. According to Shreveport Police, the man was running from a pit bull when he darted in front of oncoming traffic and was hit. The dog was also hit by a vehicle. The man was taken to LSU Health Sciences Center where police expect him to be okay; however, the dog did not survive. MASSILLON, OHIO -- James Casselberry has a message for owners of aggressive dogs: Keep your pets away from Furnas Park. Casselberry’s 10-month-old black lab mix, Jude, was attacked by a brindle pit bull Saturday afternoon at the city’s off-leash dog park, 905 Sippo Blvd. NE. Jude was not seriously injured but sustained three puncture wounds to his neck and a cut on the inside of his lip. He was playfully wrestling with another dog when the pit bull, which was on a leash, suddenly attacked, according to Casselberry. Casselberry sprang into action, swinging his lead at the dog to force him off Jude. Then, the pit bull broke free from its owner and chased after Jude, biting the dog a second time. 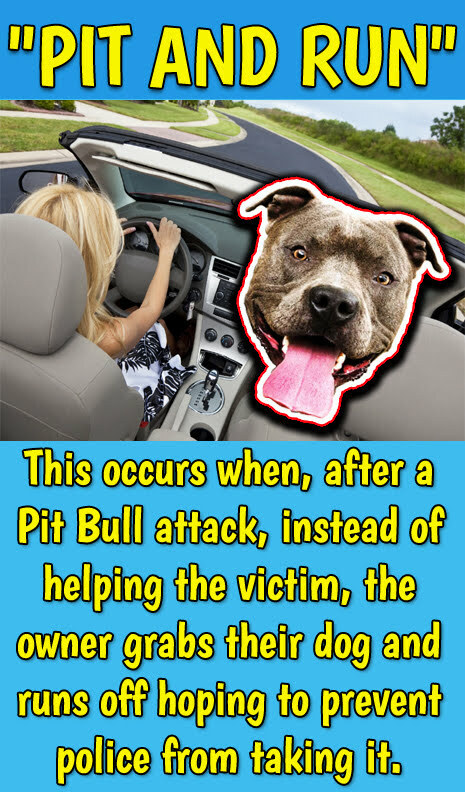 The pit bull turned on its owner and bit its owner as he tried to gain control of him. “It got him pretty good. I saw blood running down his arm,” Casselberry said. OWNER PULLED A "PIT AND RUN"
The man then fled the area in a late 1990s model Ford F-150. Massillon police officers searched the area but could not locate the truck. Casselberry said the pit bull had bitten another dog in the neck and jaw prior to his arrival at the park. Massillon Parks and Recreation Department Director Kenn Kaminski said he couldn’t recall a similar incident involving an aggressive dog at the park. Kaminski said the city may need to erect additional signage advising that dangerous and aggressive dogs are banned from the park. “This is something that we are going to have to take a look at,” Kaminski said. The city does not have the resources to assign an employee to monitor activity at the park. “All we can do is hope it is self-governed,” Kaminski said. The incident likely would be considered a civil matter because the pit bull attacked another dog, according to Vicki Davis, the city’s animal control officer. Davis noted that both state and city laws require pit bull owners to muzzle their dogs once they are taken off their property. Casselberry said he has never seen a vicious dog wearing a muzzle at the park. There have been some complaints that some park visitors are allowing their large dogs to play in the fenced-in area reserved for smaller dogs under 30 pounds, Davis added. Kaminski acknowledged he has received similar complaints. “The owners of the big dogs are abusing it,” Davis said. Jerry Kirby, of Massillon, said he wouldn’t want pit bulls running around with his fox terrier, Buddy. “We come every day that we can ... She loves running,” he said. Scott Anthony, of Perry Township, has been visiting the park with his Shar-Pei hound for several years and hasn’t noticed any serious issues with aggressive dogs. Fighting among dogs is a possibility, however, because they are within a confined area. Casselberry apparently isn’t going to allow the recent attack to dissuade him from taking Jude to the park, although he’s probably going to be more cautious. AUSTRALIA -- A woman whose starving, maggot-infested pet dog was brought ”virtually dead” into an animal centre told investigators that the dog was anorexic. Michelago woman Natasha Ann Ceric, 28, told animal inspectors she had not noticed anything wrong with her pet dog, which had ”haemorrhagic diarrhoea” and skin infections, until a day or two before it died. Her 14-year-old kelpie Daizy, who had both rear legs amputated after a car accident, died within two minutes of being admitted to the animal emergency centre in August 2009. A vet found that the dog suffered poor health, had not eaten for up to a week before it died and had been involved in a dog fight. In the ACT Magistrates Court yesterday Ceric was banned from keeping pets for the next two years and placed on an 18-month good-behaviour order. She told animal inspectors that Daizy was extremely skinny because she was anorexic but had been in good condition until a few days before her death, playing ball and eating milk, eggs and dog treats. WISCONSIN -- A Milton man convicted of shooting a dog with a bow and arrow was sentenced Wednesday to one year of probation and $1,766 in fines. A Rock County jury in March convicted Dale A. Moore, 62, of 7720 N. County KK, of misdemeanor mistreating animals and disorderly conduct while armed. James Morke, Milton, on May 21, 2010, was walking his Great Pyrenees dog along railroad tracks off County KK in Lima Township when the dog was shot with an arrow. The dog survived, but Morke said in court Wednesday the dog is slower and unable to get into Morke's truck because of scar tissue in her chest. Moore was ordered to pay the Morkes’ $4,073 veterinary bills and the cost to transport the dog for emergency surgery. The dog first was taking to a veterinary hospital in Elkhorn and later to Waukesha for surgery the night she was shot. Moore’s probation could be lifted early after he pays the fine and the bills, Rock County Judge Ken Forbeck said. Lynn Morke said at the hearing Wednesday that her family has suffered because of the shooting. “What you did was cruel and heartless. (The dog) was just out for an nice evening walk,” Lynn Morke said. Susan Jacobson told Forbeck that Moore is a good man who attends church every week and volunteers in the community. She said Moore helped mentor one of her sons and even took him on a hunting trip up north. “Dale is a wonderful, caring, and gentle man,” Jacobson said. Assistant District Attorney Scott Dirks asked Forbeck to sentence Moore to a week in jail and revoke his hunting privileges. Dirks said he could understand an initial lapse in judgment on Moore’s part in shooting the dog, but he said Moore lied during the trial about the dog being on his property and the arrow bouncing off the dog. “But to maintain for over a year a lie, that deserves some punishment,” Dirks said. Defense attorney Tod Daniel said the crimes do not warrant jail time. Moore was not a danger to the public and had no prior criminal record, Daniel said. Daniel said probation and paying for the vet bills fit with the misdemeanor charges. “An injury to a dog isn’t as serious as an injury to a baby,” Daniel said. CONCORD, CA -- A preliminary hearing began in Martinez Wednesday for a man whose pack of pit bulls attacked and killed his 2-year-old step-grandson in his home in Concord last July. Steven Hayashi, 53, has pleaded not guilty to charges of child abuse, owning a vicious animal and an enhancement alleging that Hayashi allowed his step-grandson, Jacob Bisbee, to be in a situation that resulted in his death. The attack happened the morning of July 22, 2010, at Hayashi's home at 1785 Trailcreek Court. Hayashi had left to go play tennis with his teenage son, leaving Jacob and his brother with his wife, who was still asleep, prosecutor Mary Knox said. The door to the garage where three of Hayashi's five pit bulls were being kept was usually locked with a deadbolt, but Hayashi allegedly left without locking it, Knox said. He also allegedly left without waking up his wife, the prosecutor said. At about 8:45 a.m., Jacob went into the garage and was attacked by the three dogs inside. The two other dogs were in the yard at the time and were not part of the attack, according to police. Concord police Officer Jim Nielsen testified today that when he arrived at the house that morning, he found Hayashi's wife giving CPR to a toddler. He said he took over CPR until paramedics arrived, but never saw any sign that Jacob was alive. Jacob was taken to John Muir Medical Center, where he was pronounced dead. The Contra Costa County coroner's office found that he died from skull fractures and severe bleeding from multiple dog bites. In a jailhouse interview the day after the attack, Hayashi admitted that he knew one of his dogs, "Kiwi," was aggressive and said that the dogs had killed a pet Chihuahua about a year earlier. Knox, however, said that the dogs had also killed an Akita - a large dog that can weigh 70 to 100 pounds - as well as a pet parrot, and had showed previous signs of aggression toward Jacob and his brother. Hayashi has said the dogs were supposed to be family pets and were not bred for fighting. The preliminary hearing, which will allow a judge to decide whether there is enough evidence to bring Hayashi to trial on the charges, is scheduled to continue this afternoon in Contra Costa County Superior Court in Martinez. WAUKESHA, WI -- Capt. Dennis Angle described 39-year-old Christopher Bartosz as a “hero” after the man jump to the assistance of his neighbor who was being attacked by her 2-year-old male pit bull. “He jumped the fence while the dogs were on her,” Angle said. Bartosz has since been release from Waukesha Memorial Hospital where he was treated for the dog bite, Angle said. A phone number for Bartosz has been disconnected. The dog’s owner, a 52-year-old woman at 2112 Springbrook North, was in stable condition at Froedtert Hospital after being transported there Tuesday night by Flight for Life. However, officers on scene described the traumatic injuries, Angle said. “One officer actually put in his report that he could see chunks of flesh on the ground,” Angle said. The dogs were described by police as being in a “frenzy,” Angle said. One dog was supposed to have a white face, instead “it was covered with blood,” the police captain said. Officials from Human Animal Welfare Society tranquilized a 7-year-old female dog. H.A.W.S. is conducting rabies tests on the 7-year-old dog and the male dog that attacked his owner, Angle said. 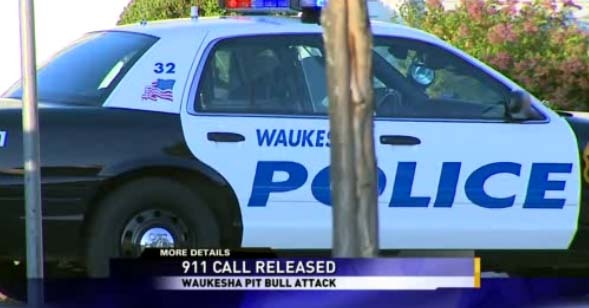 The 2-year-old dog was shot dead by police after it attempted to jump a low picket fence to attack officers while the Waukesha Fire Department was attending to the victims. Police said it appeared the owner was attempting to kennel the 7-year-old dog when the 2-year-old dog attacked her. CORPUS CHRISTI, TX -- A pit-bull attack in the city leaves a beloved pet dead, but this time the owner of the dog is held responsible. We spoke with a group of cousins Thursday afternoon who tell us they were outside in the 700 block of Cheyenne, playing with their little dog Brownie this afternoon; when one of their friends stopped by with his pit bull. "I guess the pit bull followed him and he started barking and my dog started barking and it attacked," the dog's owner told us. Animal Control says the pit bull killed the little Chihuahua and the Chihuahua's owner tells us he tried to catch the dog that killed his pet. "I chased the dog and there were two people who told me to stop because the pit bull's tail was up and they called 911," he said. When Animal Control officers got there, they say the pit bull ran off and eventually went back to his house in the 2800 block of Sabinas. They tell us the dog hid under the house and they couldn't try and pull him out for safety reasons. 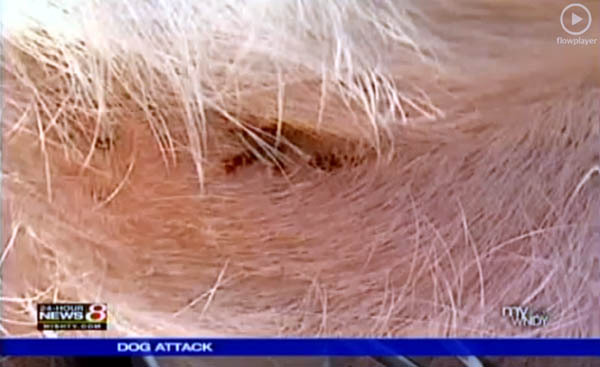 The dog's owner was cited because the dog was outside of his yard when the attack happened and because it did not have its current vaccinations. We're told once the animal comes out from under the house, his owner will have to hand him over to the city and he'll be put down. Animal Control says its cases like this that should remind dog owners how important it is to keep their pets in their yard or on a leash. Meanwhile, the kids say they'll miss their favorite playmate. "He was a cool little dog." Animal control tells us just to be sure the dog is surrendered to them, they'll be checking in at the house once a day to look for the animal. 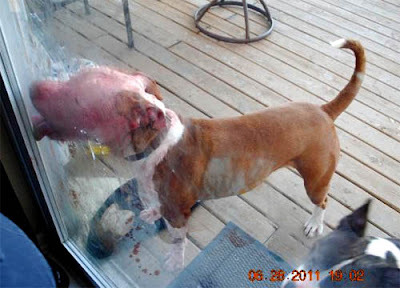 PALMER, MA -– Police had to shoot a mixed-breed dog that went berserk on a porch at 25 Flynt St. early Monday morning. The dog, which was described as a pitbull-mix, tore apart the cushions, slammed into the picture window repeatedly and charged at the officers and dog officer. "The dog was crazy. It was tearing apart the porch and trying to get into the home," Officer Sean Ford said. "He was jumping over 6 feet in the air and was very aggressive." "Ultimately, the dog had to be put down," Ford said. Helena Jalbert, who was awoken by the dog, said she is thankful to the officers and dog officer for responding quickly. Jalbert said the incident was "horrifying" and said she is glad that the dog is no longer a threat. She said it tried to go through the door and get at her husband. 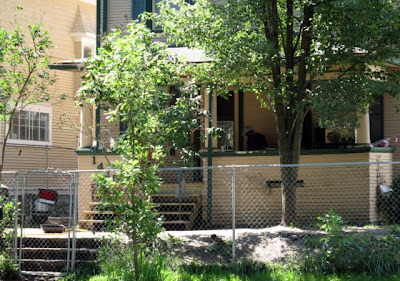 Dog Officer Fred Guzik, who is retiring July 1, said he has no idea if the dog was rabid, had distemper, or some other ailment. The dog will not be tested for rabies because it did not bite anyone, Guzik said. Guzik said he has managed not to get bitten on the 22½ years he has been on the job, but when he encountered this dog, he thought the streak was over. Guzik still avoided getting bitten. "I'm just glad it didn't leave the area and that nobody got hurt," Guzik said. The dog had no tags on, and Jalbert said she had never seen it before. GEORGIA -- The screech from a metal swing in motion echoed across the park. The shriek of playing children followed. Looking back, Bernard Moultrie is sure that's what caught the pit bulls' attention. "They heard that, and they took off," Moultrie said. With that burst of high-pitched sound, the dogs turned from Moultrie's yard, where the larger one had been trying to climb a fence to get to Moultrie's dog. The pits ran across the street toward the playground with Moultrie on their heels. Even a week later, Moultrie can recount every horrible second of what followed. He is still visibly shaken. As terrified children scrambled onto playground equipment in Gordonston's Treat Park, Moultrie screamed to them: "Climb high! Climb high!" Moultrie was joined at the park by Herbert Swain and Henry Murphy. All three made split-second decisions that saved the life of 7-year-old Javon Roberson, who was being mauled by one of the dogs, and protected the other children. The Savannah City Council has invited the three to Thursday's council meeting so they can be recognized for their heroism. Swain appreciates the handshakes, back-slaps and praise that have come from total strangers, but in his mind a higher power guided them the night of June 21. How else do you explain, he asks, how neither he nor Murphy were bitten as they beat the dogs with bricks? "We were two men with two bricks - that's all we could find," Swain said. "That's why I know God was there. If you had asked me before to take a brick and hit a pit bull on the head, I couldn't have done it. It was so traumatic. I don't know how we did it." Moultrie was at home when he heard his dog acting up. It wasn't like the animal to bark so incessantly. Moultrie looked out and saw the larger pit bull climbing his fence to get to the dog. He ran outside, grabbed a garden hose and began spraying the intruder. The dog circled around the fence and made another attempt to climb. Moultrie ran to get a .32-caliber handgun, but as he approached, the dogs ran for the park, which is on the corner of Treat Avenue and Gable Street. It was almost 8 p.m., and neighborhood children were swinging and scrambling over a jungle gym in the cooler evening hours. All but Javon made it to safety. He was on one of the swings, tried to swing harder, to pull away from the dog that leapt at his legs and back. 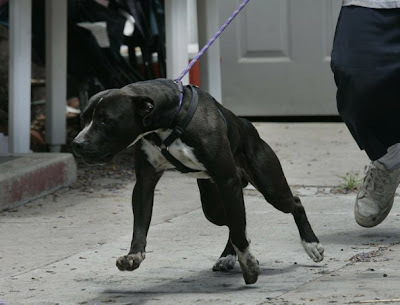 As the dog pulled him to a stop, Javon tried to run for the playground equipment. He made it to the first level, but as he climbed for the second, the dog brought him down. Murphy, 57, reacted first. Grabbing a brick, he wrapped one arm around Javon, and with the other beat repeatedly on the pit bull that had latched onto the boy's head. As Murphy began to tire, Swain swung with another brick. Finally, the dog released. The second dog went after the children at the top of a slide, but other adults chased it away. Moultrie had run back to his house for the gun. Seeing the dazed dog had let go, Moultrie tossed his gun to Swain. Moultrie wasn't sure, he said, that he could close the distance fast enough before the dog might attack again. "I pitched him the gun, and he caught it and shot him twice," Moultrie said. "That was it for that big red monster." Murphy, too, is still upset by the attack. It's been hard to get the images out of his mind. Murphy is active in the neighborhood; he knows all the children, but Javon is a favorite. He checked in on the boy almost daily, making sure he was minding his manners and trading jokes. Now that Javon is recovering, Murphy wants to focus on long-term solutions. He is active in the East Savannah Community Association and wants neighbors to discuss how to keep their children safe from the dogs. "Something's got to be done," he said. "If you're walking one of these dogs on a public street, you should be stopped and made to show the dog is current on his vaccines. I don't care if it's profiling. These dogs need to be stopped." Savannah-Chatham metro detectives are investigating the attack. They have not found any previous reports of violent behavior. The owners, said Julian Miller, police spokesman, were cited once before for allowing one of the dogs to run loose, Even in that complaint, there was no claim that the dog attacked a person or other dog or acted aggressive in any way, Miller said. The day of the attack, a 19-year-old woman was helping her parent's move. The parents own the dogs, and had asked the 19-year-old to take them to another relative's house. The dogs would stay there while the parents finished moving. The 19-year-old took the dogs to the relative's house, which is near the park. The 19-year-old had stepped away from the car when an 11-year-old girl with her opened her car door. The dogs made a break for it. Investigators are consulting with the District Attorney's Office to determine what, if any, charges can be brought. Even the most likely charge, failure to have a dog on a leash, is a misdemeanor, Miller said. Police are not releasing the owners' names because it is not certain they will face any charges. "Everything that we've been told about how the dogs got away is plausible," Miller said. "We've found nothing to refute. You can argue a lot of 20-20 hindsight, but from everything we can tell, it was an accident, a tragic accident." Family members hope Javon will be out of intensive care at Memorial University Medical Center by the end of the week. The boy remains sedated, breathing through a tube. His mother, Tracie Roberson, said he thrashes in his sleep, trying to get something off him. "It scares me to see him do that," she said Tuesday. Javon already has been through two surgeries, Roberson said - a two-hour mouth operation and a five-hour facial surgery. Roberson says doctors are telling her there's a 50/50 chance his face will be paralyzed. LOS GATOS, CA -- Mayor Joe Pirzynski is used to being in the center of things. After all, he sits in the middle chair at Los Gatos Town Council meetings on the first and third Monday of every month. And in that role, the mayor admits to having had to deal with many community residents and fellow council members over the years who he could classify as pit bulls. Pirzynski, though, found himself in a situation much more dangerous than a Monday night council meeting on June 26 when he put himself in harm's way in a valiant attempt to save a small dog under attack during a Music in the Park program at the Los Gatos Civic Center. The mayor had an actual confrontation with a real pit bull on Sunday just as he was settling in for the evening to watch the Michael Jackson tribute band, Foreverland, perform on the civic center's front lawn. "All of a sudden I heard someone screaming," said Pirzynski. He looked up to see a woman trying to pull her small dog out of the jaws of a pit bull. "The [pit bull] was on leash, but the guy wasn't able to do anything," he said, "so I started pounding on the dog until he broke his bite." Councilman Steve Leonardis was also nearby and he jumped in to help, too. "It was really a damsel in distress type of scream," said Leonardis. "I saw the pit bull from behind and all I knew was that it had something in its mouth. "Joe had the presence of mind to grab the dog and try to pry its mouth open. I was pulling on the leash, and when Joe started pounding on the dog I started punching it, too." 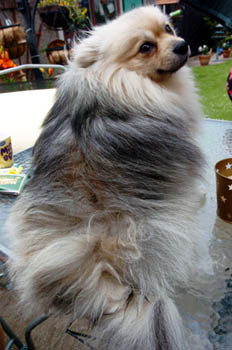 Pirzynski and Leonardis were successful in their efforts, and the pit bull eventually let loose of the smaller dog, said to be a Yorkshire terrier. Its owner apparently left the concert to take the small dog to be examined by a veterinarian. The pit bull owner, meanwhile, quietly exited the scene, but was chased across Main Street by other concert attendees and detained until a police officer could arrive. No arrest was made. Pirzynski suffered minor injuries to his hands in the attack. "There were a couple of little gouges but I didn't need stitches. I don't think I really got bit." Others saw things a little differently. Marianne Hamilton, co-chairwoman of Music in the Park, said onlookers described a frightening scene where the pit bull "had [the terrier] by the neck, shaking it back and forth," and that Pirzynski's hands were very bloody after the episode. The wounds were serious enough that the mayor had to have them attended to in town hall, but he returned in time to enjoy the concert. "It was a great concert, and we had a full house," said the mayor, who was in good enough shape the next morning to throw out the first ball at the United States Bocce Championships being held at Campo di Bocce. He also received a call on Monday morning from the owner of the pit bull involved in the attack. "I got a voice mail from him this morning with all of the dog's history," said Pirzynski, "so he was responsible there." A night earlier, though, things could have turned tragic had the mayor not acted quickly. Leonardis, his own actions notwithstanding, called Pirzynski's effort heroic, adding, "That's a full service mayor for you right there." 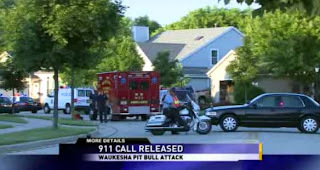 WAUKESHA, WI -- The Waukesha Police Department said a dog that attacked its owner was shot by an officer Tuesday night. Officers said a 59-year-old woman was attacked by one of her pit bulls about 6:30 p.m. The owner said she was trying to kennel one of the two family dogs when the other dog attacked her. Police said the owner suffered bite injuries to one arm and to both her legs. A 39-year-old neighbor who tried to help was also bitten by the dog, police said. While the owner and the neighbor were being treated by fire crews, an officer said he saw the pit bull trying to jump over a low picket fence to attack police and neighbors at the scene. The officer said he was forced to shoot the dog to prevent it from attacking again. The Waukesha Fire Department said the owner was flown to Froedert Hospital and is in stable condition, while the neighbor was taken to Waukesha Memorial Hospital. 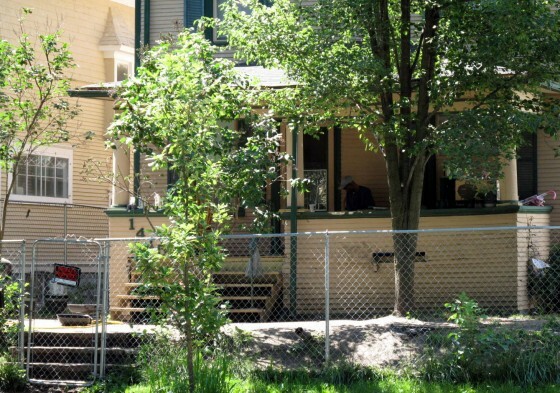 The Waukesha Humane Animal Welfare Society said it removed both dogs from the house. 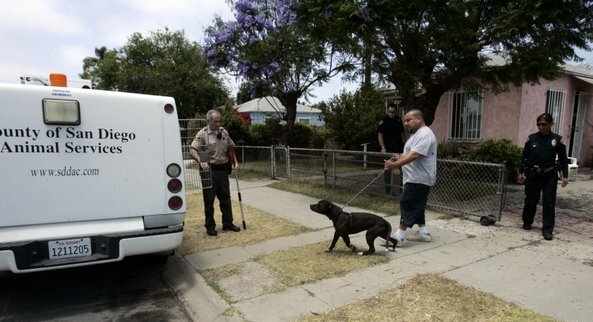 WHITTIER, CA -- A father and son were charged Tuesday in connection with the beating of a Whittier man who was set upon by a pit bull that bit off the tips of his ears. The attack took place Saturday morning when the 43-year-old victim was confronted by a 17-year-old boy who demanded his wallet as he walked in front of an apartment building in the 8900 block of Painter Avenue in Whittier, authorities said. The man refused and the pair began fighting in front of Crestwood Apartments near Lambert Road, said officials with the Whittier Police Department said. During the altercation, the boy's father, identified as 51-year-old Richard Rudy Aragon, came to the boy's aid and released the pit bull, who bit both ear tips off the victim. Prosecutors claim father and son punched and kicked the victim while the dog attacked. Prosecutors charged Aragon with one count of mayhem and two counts of assault with a deadly weapon -- the pit bull -- likely to cause great bodily injury. Aragon, who was being held on $130,000 bail and will be arraigned Tuesday, faces a maximum sentence of up to 12 years in state prison. The teen, whose name was not released because he is a minor, was charged with two counts of assault with a deadly weapon -- his foot -- with force likely to inflict great bodily injury, one count of attempted robbery and one count of witness intimidation. He was scheduled to be arraigned Wednesday at Los Padrinos Juvenile Court, prosecutors said. 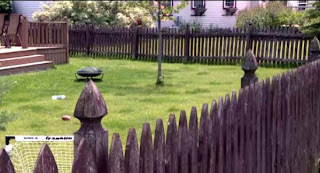 UNION CITY, NJ -- Union City police shot and killed a pit bull this afternoon that mauled a smaller dog, officials said. The smaller dog, which neighbors said was a poodle, died from injuries it sustained in the attack, officials said. 500 block of 39th Street in Union City on Tuesday afternoon. The smaller dog was unleashed when it exited a building at 533 39th St., police dog. 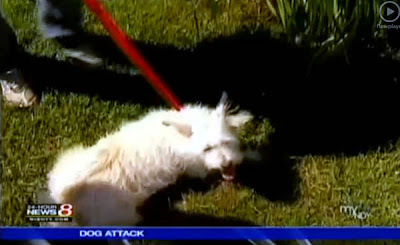 The pit bull, which was leashed, attacked the smaller dog. In an effort to drive the pit bull off her dog, the owner of the smaller dog stabbed the pit bull several times, according to police. Police officers, responding to a report of a gas smell at that address, saw the scene unfolding, got out of their police cruiser and shot the pit bull three times, police said. No charges were filed against any of the dog owners. The owner of the smaller dog was not given a citation because she was hurriedly exiting the building because she smelled gas, police said. A problem with gas escaping at the building was not confirmed, police said. TOWER CITY, PA -- Borough police said a pit bull crashed through a screen door and attacked a 47-year-old woman Tuesday afternoon. The victims' injuries were not serious, Sgt. John Boyer said. The attack falls on the heels of two pit bull attacks in Pottsville last week. According to Boyer, the victim was walking in an alley near Fourth Street about 1:45 p.m. when the pit bull ran through the door and attacked her. The victim, whose name Boyer withheld pending further investigation, was transported by Tower City EMS to a local hospital for treatment. Boyer said additional information will be available as early as today. 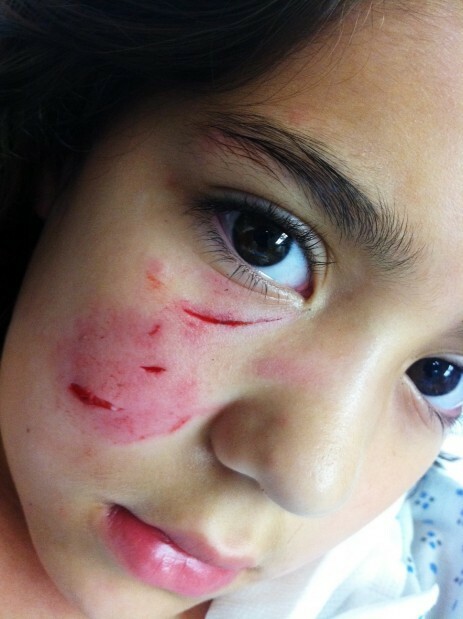 On June 22, three children were attacked in the 300 block of Fleet Street when their family pet turned on them. One of the children, a 13-year-old girl, was flown to Lehigh Valley Hospital-Cedar Crest, for treatment. She has since been released, Pottsville police said. Two other children, both under the age of 10, were treated at local hospital for non-life-threatening injuries. Frank Spleen, Pottsville health and animal control officer, said the pit bull's owner, Justin Eaddy, 320 Fleet St., produced documentation after the attack showing that his animal had up-to-date rabies shots but did not have the animal licensed in Schuylkill County as required by law, for which he will be cited. Eaddy is the father of the children attacked. On Thursday, an 8-year-old boy was bitten by a pit bull that was fighting with another dog in the 500 block of East Market Street. The boy was treated at a local hospital for bite wounds, authorities said. Charges may be filed in Thursday's case as well, Spleen said. CALIFORNIA -- A man will undergo surgery Tuesday evening after a friend's pit bull attacked him in Mountain View, just north of National City, and bit off a "chunk" of his arm, the victim's father said. arm and side by a friends pit bull in the Mountain View area of San Diego. Paul "Mario" Todd Jr., 40, was attacked shortly before noon Tuesday in the 4400 block of Logan Avenue, according to San Diego police. Paul Todd Sr. said officers found his son at a different location nearby, which he ran to while "in shock." When officers arrived, they found Todd Jr. had been bitten in the right arm, side and back by his friend's dog, named Sparky D. Todd Jr. is scheduled to have surgery at Scripps Mercy Hospital to repair injuries to his arm and, possibly, to his abdomen, his father said. "It just baffles me that people have those types of pets as a pet,"Todd Sr. said. "Pit bulls are a dangerous dog." WINFIELD, KS -- A trial date has been set for a Winfield man who is appealing a city judge's ruling that calls for the man's pet pit bull to be humanely destroyed. District Court Judge Nick St. Peter has set the bench trial for 9 a.m. Aug. 5 at the Cowley County Courthouse in Winfield. Because the infractions associated with the appeal are relatively minor, defendant Aaron Cole is not entitled to a jury trial, so Judge St. Peter will decide if the animal is spared. Cole was cited for dog at large and no city dog license following an incident the morning of May 15 in which his two pit bull dogs were said to have gotten loose and entered a local home. The home's owner, who has not been identified by name, said she awoke to find the dogs in her house and her pet poodle the victim of an attack. The poodle died. The woman had been sleeping with the back door of her home open so her dogs could come and go to use the restroom, according to police. Cole has not disputed the charges for which he was cited. Instead he has appealed city judge Tom Herlocker's determination that one of the dogs, a male named Seven, is vicious and should be destroyed. The incident happened in a neighborhood on E. Sixth. Seven was captured by Winfield Police and has been in the custody of the court ever since. The city has until July 8 to notify the court if it intends to hire an expert witness. The defense has until July 18 to make the same notification. Pretrial motions are to be filed by July 18 as well. The city agreed to make the dog available to the defense should any testing or examinations be necessary. Judge St. Peter also said Cole can make an arrangement to have the dog housed at another secure location – such as a kennel service – if that could save him money on the cost for housing the animal. The expense of caring for the dog while the case is appealed is left to Cole. MOREAU, NY -- A pit bull mix that recently bit a child and an elderly woman will not be euthanized, according to a decision rendered Monday in Moreau Town Court. 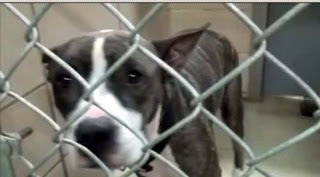 Judge Timothy Alden declared the 2-year-old pit bull mix dangerous. The court imposed a $400 fine on the dog's owner, Michael N. Christon, of 142 Feeder Dam Road. after a dog bit her in the face late last month. According to court documents, the dog bit 7-year-old Kadyn Creel in the cheek after escaping from Christon's yard on the evening of May 27. On June 16, the dog bit 85-year-old Julia Scoville after again escaping from the yard. Both victims reported facial lacerations and incurred medical bills because of the incidents. - The dog must have a microchip implanted beneath its skin within 30 days. Christon will be responsible for financing the last two procedures and providing proof to the town animal control officer. An invisible, electric fence is currently the only barrier between the dog and the outside world. Tucker Stanclift, the lawyer for the young girl's mother, Brittany Creel, is investigating whether a negligence lawsuit can be brought against Christon or the town of Moreau, or both. Christon said late last week that he witnessed the first incident and believes the dog was trying to lick the girl's face. ROSEVILLE, MI -- Jewel Kadelak lives on Roseville Boulevard in Roseville with her husband and daughter. They say they just want to live in peace and quiet and to be left alone. But it’s not easy. They had three dogs over a year ago and now have only one. 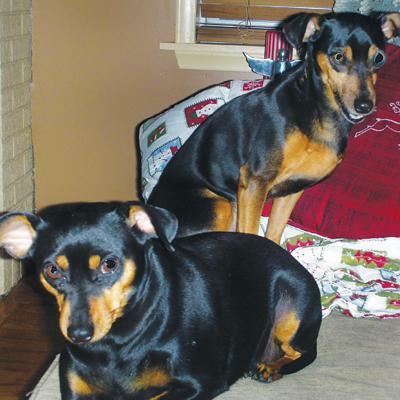 One dog was mauled to death a year ago by their neighbor’s pit bull that climbed over the fence and mauled their 11-pound Miniature Pinscher. At the time, the Kadelaks’ neighbor, Louis Morin, was arrested by police and charged with a violation of a city ordinance for not having his dog under control. He was placed on probation and ordered to keep his dog in an enclosed yard where it wouldn’t be a hindrance to anyone. Just last Wednesday the same thing happened all over again. Morin’s two dogs allegedly got into Jewel’s backyard by digging a hole under their wooden privacy fence and killed another of her dogs. “Our whole family is devastated,” Jewel said while wiping back tears from her face. “But this guy moved in here three years ago and doesn’t care about his neighbors. Roseville Deputy Police chief Anthony Cona said Morin was arrested Thursday and charged with probation violation. Due to the first incident last August the police arrested Morin and both of his dogs, a pit bull and Rottweiler were confiscated and taken to the Macomb County Animal Shelter, Cona said. Morin is free on personal bond. A court date has been set for 8:30 a.m. July 19. Jewell said her neighbors are junk collectors. She said it isn’t hard for her neighbors’ dogs to jump on some of the junk they have in their yard and get over the fence. Jewell said she couldn’t believe Morin wasn’t apologetic. She said she thought it was a shame that Judge Marco Santia of the 39th District Court only fined Morin a small amount of money and put him on probation. What made matters even worse, Jewell said, her daughter, Imagine, witnessed the first attack. She said Imagine still isn’t herself after watching the family dog get mauled by a dog three times its size. This time, Jewell and her husband, Sam, were out of the house for two hours. Their dog, Nick, was let outside and Jewell said she thought it was safe because they have a 6-foot privacy fence. Jewell said Sam went outside and screamed. He yelled at her to call police. They found Nick dead. She said their neighbor came outside and said it wasn’t his dog that killed Nick. Roseville police found a large hole under the wooden fence. Police seized two dogs from Morin. A third dog at Morin's house belongs to another person. CALIFORNIA -- A man in his 40s was severely bitten by a friend’s pit bull Tuesday as the men were talking outside the dog owner’s home in Mountain View, San Diego police said. A neighbor on Ocean View Boulevard near 42nd Street call 911 about noon to report the attack, police Officer Mitchell Levy said. The men were standing at the open gate to the dog owner’s yard when the 1 1/2-year-old pit bull bit the victim’s arm, causing a severe wound, Levy said. The dog also reportedly bit the man’s back and side, causing less serious wounds. The victim walked home, where paramedics treated him before taking him to a hospital, Levy said. He said the victim did not want his friend prosecuted for the incident, but county animal control officers took the dog for a 10-day quarantine to see if it has rabies. On Friday, a woman in the Grant Hill neighborhood was bitten by a loose pit bull and a Boxer that attacked her small Shetland sheepdog, authorities said. On the same day, a 1-year-old girl in Chula Vista was nipped on the forehead by a family German shepherd, which was placed in quarantine. holster and the animal cop is holding his control stick upside down! 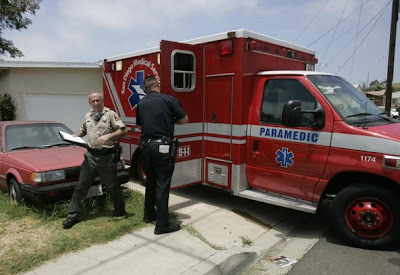 And on June 18, a 75-year-old woman was mauled her neighbor’s two pit bulls that got into her Paradise Hills back yard. Surgeons had to amputate one of the woman’s legs. The dogs were euthanized. OHIO -- Sometimes, the atrocities people inflict on their pets are shocking, even to Gene Boros. As an animal cruelty investigator for the Toledo Area Humane Society, Mr. Boros has seen just about everything when it comes to animal abuse and neglect. But some cases stick with him long after his shift is over. There are the dogs and cats he's found dead inside the rooms of abandoned homes, dead because their fleeing owners locked them in there without food or water. There are the skeletal dogs tethered their entire lives to a chain, so neglected that their collars have grown into their necks, creating a maggot-infested wound. There are the homes of hoarders where dozens of dirty, sickened animals mill across floors covered in feces. And there are deliberate acts of violence, such as the mother who, in a fit of rage, slammed her family's Chihuahua into the ground, killing it on impact. "If you've never done this job before, you just don't realize some of the things that are going on every day. You don't realize some of the things people can do to something as innocent as a kitten or a puppy," Officer Boros said. "It just opens your eyes." 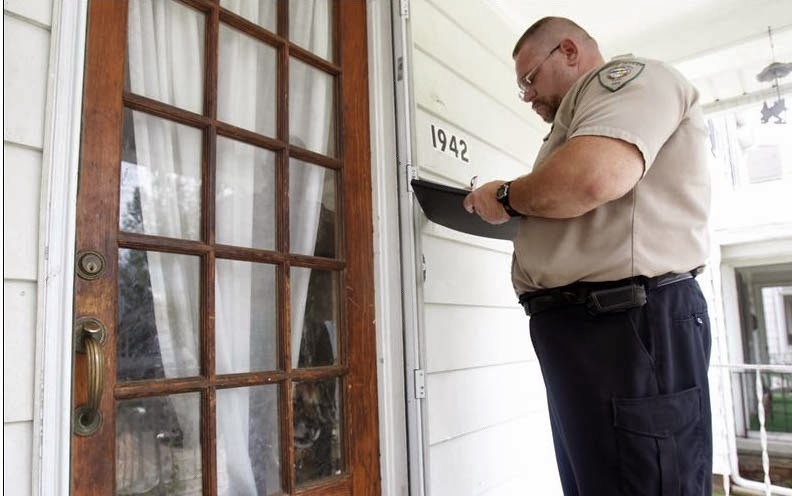 For the last seven years, Mr. Boros has patrolled the streets of Toledo investigating reports of animal mistreatment, confronting owners who fail to take proper care of their pets, and rescuing animals that fall victim to human callousness. He and fellow officer Nancy Schilb investigate about 20 reports to the Humane Society's Cruelty Hotline a day, although they often receive significantly more reports during very hot or cold weather. When Mr. Boros climbs into his "Cruelty Division" truck each morning, he never knows what to expect that day. His cases can often read like a list of reports about malnourished dogs, but once he hits the road, what he finds varies wildly. "Take a call like 'skinny dog.' It could be that they overexaggerated. It could be that you get there and the dog's thin, but it's fine," Mr. Boros said as he began a recent shift by plotting his route on a map in his truck, surrounded by boxes of dog biscuits. "Other times you get out there and the dog's just skin and bones and in terrible shape. You just never know." On this particular day, Mr. Boros had 11 calls to look into on his designated patrol area of northern and eastern Toledo and Lucas County. They included two reports of dogs left outside with no water or shelter, accusations that a man in East Toledo was not feeding his dog properly, a follow-up on three cats and a dog abandoned in an apartment after the tenant ran off without paying the rent, an account of a possible hoarding situation, and a report of a man seen kicking a puppy outside his home in North Toledo. Almost all of the calls came in anonymously, which Mr. Boros said is the norm. Most reports are from neighbors who fear retaliation if they are found out, he explained. At the first home, a leash tied to a tree in the yard was the only evidence Mr. Boros found of the dog left outside. No one answered the door, so he posted a card with a message asking the owners to call him. Similarly, at the second house, the dog was inside. The residents, two young women, insisted the animal was well taken care of. Even when he finds no immediate evidence of abuse or neglect, Mr. Boros said his visit puts a pet owner on notice that actions are being watched. It's also an opportunity to provide guidance to people who are uninformed about pet care. Some don't even realize there are laws governing the treatment of animals, he said. On this day, Mr. Boros only leaves the house after imparting guidelines for keeping a dog outside: Don't put a dog out for more than an hour at a time without proper shelter or access to water; apply pet-approved fly spray if the dog will be out for extended periods. "You still have the option to educate them. They may not be putting the dog out all the time, but at least enough that somebody called," he said afterward. "Sometimes you have to educate them and show them and tell them the proper way to keep a pet." Most of the other cases that morning were equally uneventful, requiring Mr. Boros to paste notices or messages on doors because the owners were not there or did not want to answer. But Mr. Boros sprang into action once he reached the home of the abandoned pets on Collingwood Boulevard. Property manager Dennis Vitosky met Mr. Boros in the parking lot and hurriedly ushered him into the apartment, which was covered in feces and smelled of cat urine. Three cats -- two adults and a kitten -- were curled up on a beaten couch, and a small Pomeranian dog was running around in circles. "I've been feeding them every day. They're not going without food," Mr. Vitosky said. After hauling portable cages into the apartment, Mr. Boros stooped to gently pick up the animals and put them in the crates so he could take them to the Humane Society. Without Mr. Vitosky's care the animals might have perished, he added, something he has witnessed in other abandonment cases. Tracking the perpetrators of these crimes to their new addresses can be difficult, Mr. Boros said. If he does find them he may press animal abandonment charges against them. The second-degree misdemeanor carries a penalty of up to 60 days in jail and a $750 fine, he said. The downturn in the economy has led to an increase in animal abandonment problems, Officer Boros noted. Many people are losing their homes to foreclosure or find themselves unable to pay the rent after losing a job, so they move and leave their pets behind. Others live in increasingly impoverished conditions and their animals suffer the consequences. "There are a lot of out-of-work people out here," Officer Boros said, as he drove through East Toledo. "A lot of times you'll find that the people aren't living in any better condition than their animals. It's hard for them to take care of themselves, let alone a dog or a cat." On some of the calls Mr. Boros makes to investigate animal cruelty cases, he finds evidence of elder abuse or child neglect too. He said he's found children living in squalid conditions, with no food, heat, or adequate clothing, and passed on the information to Lucas County Children Services. Other times malicious child abuse or domestic violence is occurring in the home where an animal is being abused too, he said. Experts maintain there is a strong link between animal abuse and violence toward humans. Numerous studies show perpetrators of animal cruelty often have convictions for other violent offenses, particularly domestic abuse, said Phil Arkor, coordinator of the National Link Coalition, a network of organizations working to promote awareness of this correlation. Violence toward animals often begins during childhood and spirals into violence toward people later in life, he said. "People need to take animal abuse cases seriously," Mr. Arkow said. "If you devalue an animal it's very easy to begin devaluing other people. If you don't respect others, whether that other has two legs or four legs is often a matter of convenience." Humane Society investigators are often in a unique position to see domestic abuse, Mr. Arkow continued. Neighbors are more likely to report violence toward animals than violence toward people, because they realize the animals cannot speak for themselves, he said. 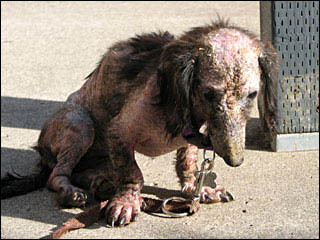 Animal abuse is also more likely to take place in public view, he added. Jason Wegman, a caseworker with Lucas County Children Services, said animal abuse and domestic abuse often arise from the same psychological dysfunction. "The same people that abuse their children or their spouse are the same type that abuse their animals," Mr. Wegman said. "It's the need for that power and control over people that are smaller than you in stature, or somebody you know will back down." Cary Brown, manager of assessment at Children Services, said her agency works closely with the Humane Society, cross-training their staff and sharing information about cases of abuse and neglect. "We have to have that relationship," she said. "In essence we're dealing with the same families." Officer Boros, meanwhile, said that although some of the situations he deals with are heartbreaking, he wouldn't change jobs. He originally trained to be a police officer but applied for the Humane Society position on a whim and hasn't looked back. "It's just a pleasure to get an animal out of a bad situation and into a better situation," he said. "Seeing how mean people can be, you kind of lose your compassion for people and gain more for the animals. I think I'd rather work for the animals." FLORIDA -- A Naples woman is accused of shooting and killing her boyfriend's pregnant dog during an argument. Kelly Gresham, 43, of the 10000 block of Laakso, got into a verbal argument with her boyfriend Sunday during an evening out with four friends. According to the arrest report, Gresham had several mixed alcoholic beverages. Gresham and her boyfriend began arguing, so the group decided to leave together. During the ride to Gresham's home, Gresham reached from behind the driver's seat and took the keys from the ignition. She then began punching her boyfriend in the face. Her friends were able to calm her so that they could continue the ride home. Once home, Gresham proceeded to the bedroom where she said to the boyfriend, "You wanna hear something funny?" Gresham then shot and killed the boyfriend's pregnant pit bull, according to the arrest report. Gresham was arrested by Collier deputies and faces a felony charges of cruelty to animals, possession of firearm with ammo, shooting missile into dwelling building and a misdemeanor of domestic violence. 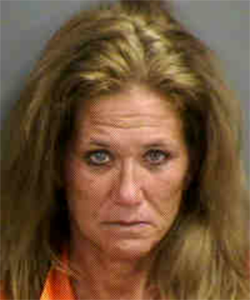 Gresham's criminal history revealed that she is a convicted felon. UNITED KINGDOM -- A great-grandmother from Leftwich was left traumatised when her granddaughter’s pet was ripped from her arms and savaged by another dog. 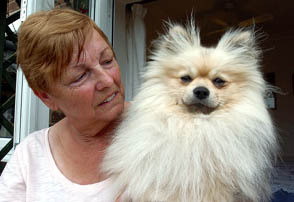 Fortunately Ted, a Pomeranian, was saved from serious injury by his furry coat. Brenda Bond, 64, was walking Ted outside the shops in Clifton Drive at 11.30am on Saturday. Brenda with Ted, who is recovering after the attack. She said: “There were two little girls behind me and this big massive dog came running up at me. “Ted was in a harness and I picked him up in my arms but the big dog was ragging at my dog’s tail and he ripped my little dog right through his harness. “I was screaming and someone said I collapsed. “I hit the big dog with the lead. Brenda, of Balmoral Avenue, was walking Ted on behalf of her granddaugher Demi-Lee, who was looking after her three-week-old baby girl Evie-Lee. Demi-Lee has two dogs, 18-month-old Ted and three-year-old Tilly Minx, who was not out with Brenda and Ted on Saturday. Brenda said: “What saved my pom is his fur, he’s a really furry-coated dog. “If it had been the other dog she would have been dead. Brenda said there were two heroes that managed to separate the dogs, one who kept Ted safe down an alley and another who kept the bigger dog, a Staffordshire bull terrier, at bay. A spokesman for Cheshire Police said: “The dog received minor injuries. “No members of the public were attacked or received injuries. “The owners of both animals were spoken to by police. TAUNTON, MA -- A harmless, one-and-a-half-year-old cat was mauled to death and dragged away by a pit bull Sunday afternoon, according to the cat’s owner and neighbors. Police say when they arrived at 22 Emma Ave. just before 2:30 p.m. — in response to a call of a pit bull having killed a cat — they observed a brown pit bull dog lying beside the house. The cat’s 35-year-old owner, described as extremely distraught, was waiting for police in front of the house along with several neighbors. The owner told cops that she and her husband were in their yard around the corner on Norman Avenue when they noticed the dog on their property and tried to guide him out. The owner told cops she tried kicking the dog, and that neighbors also tried helping her, but that the pit bull would not release the cat from its jaws. The police report states that as an officer spoke to the woman, the dog stood up and slowly made its way to the fence where they were talking. The officer says at that point he administered a short burst of pepper spray to deter the animal from any further attack. Police said according to the city’s Assistant animal Control Officer Chuck Mosher, as well as several neighbors and even the dog’s owner, this wasn’t the first time the dog had killed a cat in the area. The dog reportedly was taken to the Taunton animal shelter by Mosher in lieu of a decision either to return it to the owner or have it put down. Police said they confirmed the cat was deceased and were told by the owner that she would personally bury her pet. There have been three other reported incidents during the past nine months of a pit bull dog or dogs attacking other animals. In May, a pit bull reportedly attacked and bit a 20-pound mixed-breed terrier being walked on a leash by its owner. In October 2010 police said two pit bulls mauled a golden retriever confined to its owners’ property, resulting in a vet bill of $3,700. Also in October, police said a pit bull severely damaged a 15-pound Bichon Shi Tzu being walked by its owner in Weir Village.